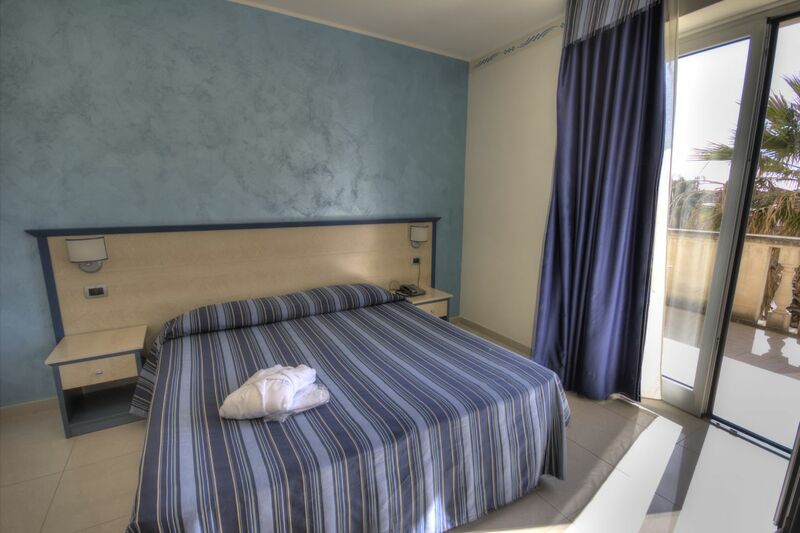 Grand Hotel dei Cavalieri consists of 101 rooms divided into single rooms and villas. 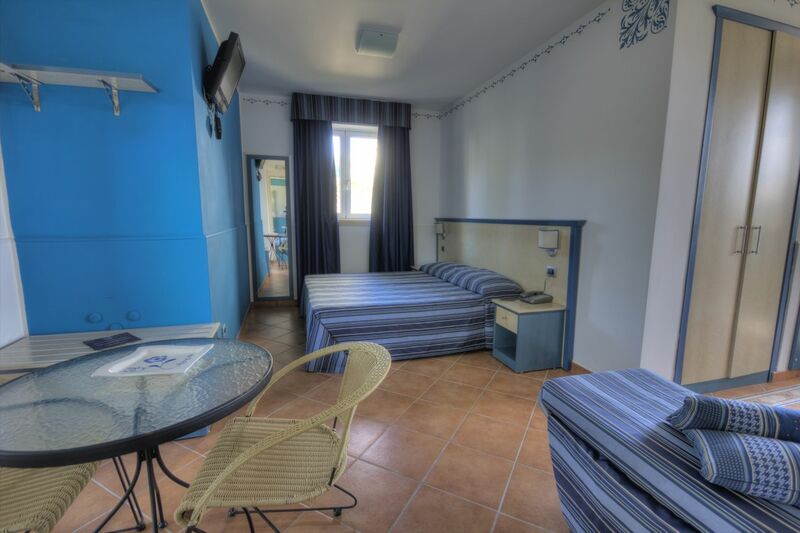 The rooms are comfortable, decorate in modern style and equipped with TV, minibar, air conditioning, free Wi-Fi, safe and bathroom with shower. 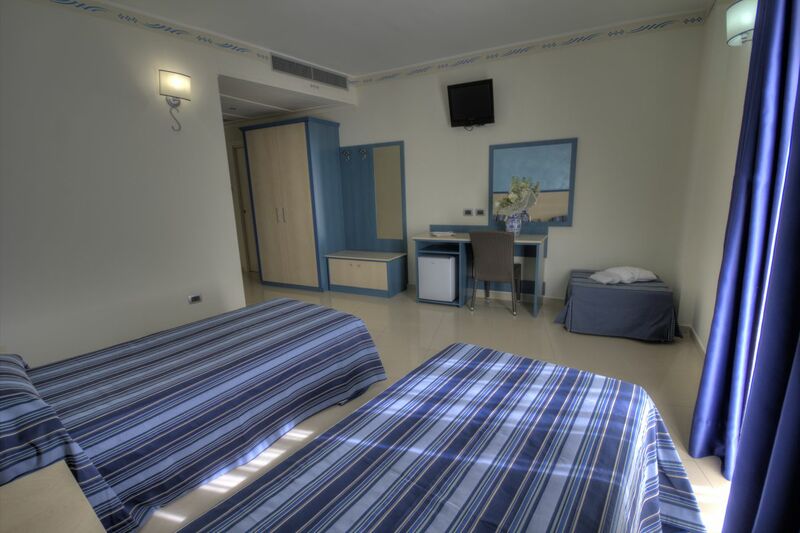 Also available non-smoking rooms and rooms for disabled guests. 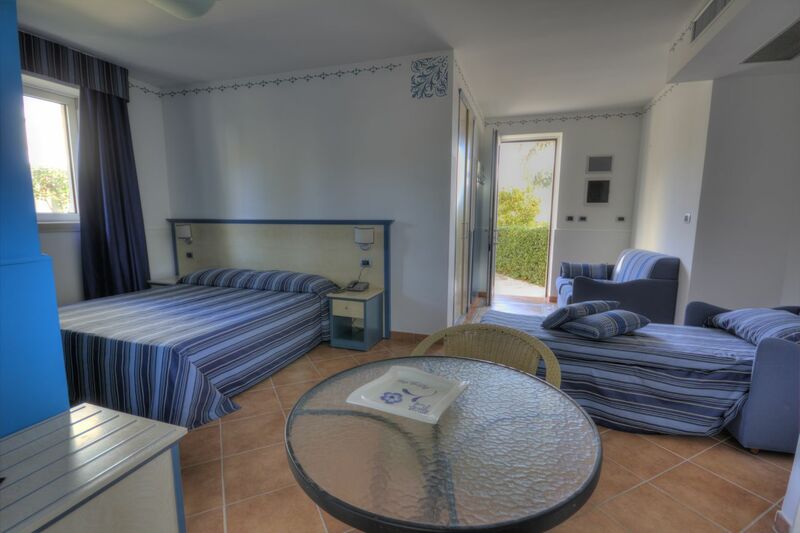 From 1st to 3rd floor there are 69 standard rooms, double/twin, some with a sofa bed, balcony or terrace. There are two separate blocks. One consist of 5 villas; the other consist of 3 villas. 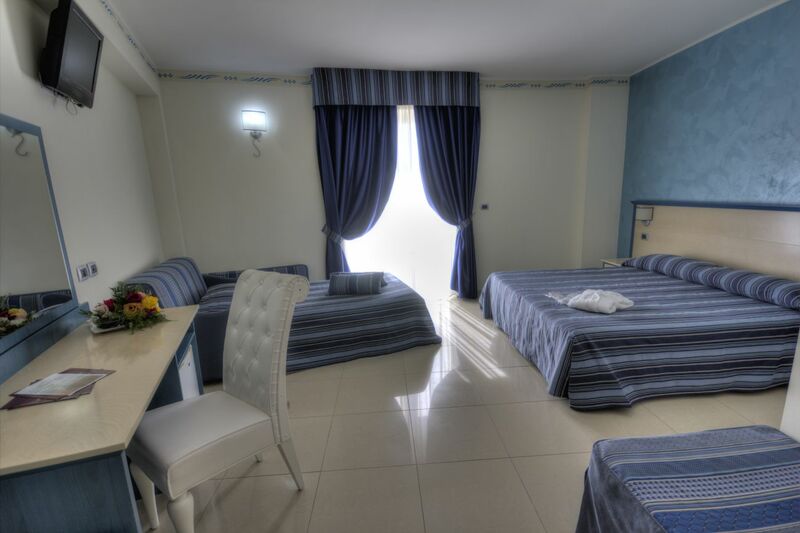 Total: 32 standard rooms with 3-4 beds. There is a patio garden for the rooms on the ground floor, balcony and terrace for the rooms on the 1st floor. 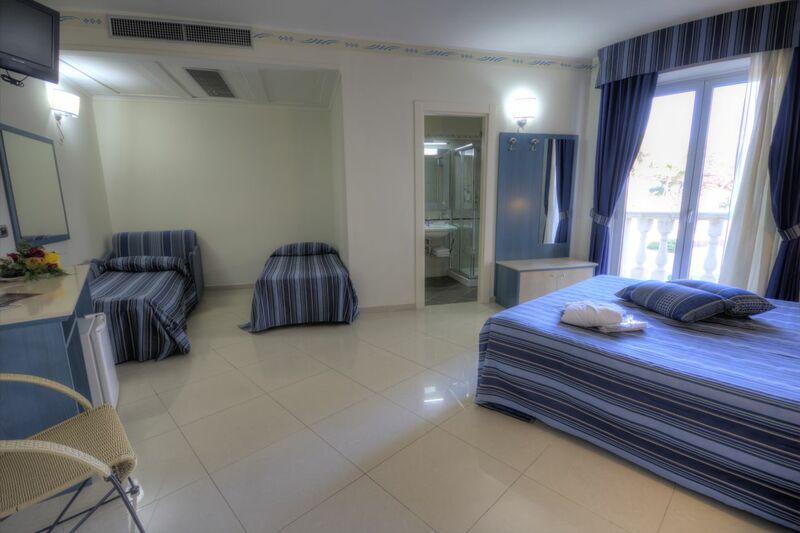 All rooms have a private entrance.